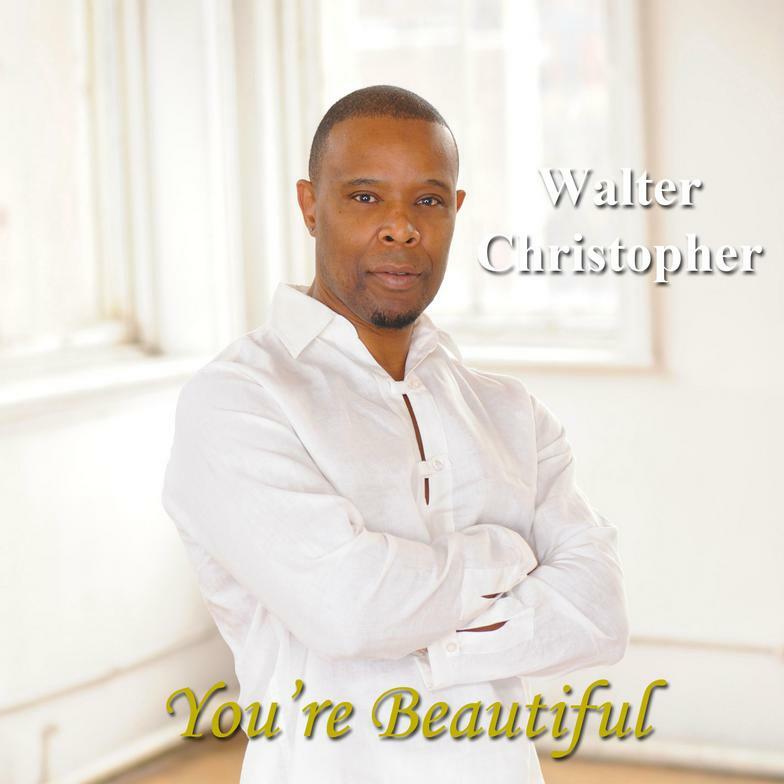 Walter “It’s All About Love” Christopher is back with a remix CD of his hottest singles, simply entitled, “Walt Chris (THE REMIX).” Mr. Christopher believes that his songs have more than one expression and he proudly re-introduces these mellisonant works of modern soul. The lead single from the CD is “You’re Beautiful,” a heartfelt and blissful love song, reproduced by Mark Wilson of Will Smith fame. The CD also features remixes by Khalid Keane of KO Productions, formerly signed to Madonna’s Maverick label, Dave LaLa and Hubert Eaves IV. Walter received tremendous support from the US and UK for his 3rd CD, “It’s All About Love — Vol.2,” released in 2011. The CD topped CDBaby’s list of Best Selling Urban Albums. The singles, “So Amazing” and “There You Go Again” are still recurrent favorites on Urban AC commercial and internet radio. This CD and its two lead singles landed on many charts and “best of” lists, receiving accolades from soul music Columnists and Tastemakers. Walter was nominated for SoulTracks Reader Choice Awards — Best Male Vocalist and Chris Rizik, Founder of SoulTracks.com says…….”Walt Chris is a new singer with an old soul. His smooth R&B style could have fit just as well in 1981 as it does in 2011, and he has the voice to make it all work just great.” Mecca, Programming Manager for Music Choice said……….Walter Christopher is True R&B! Soul music lovers and aficionados got the opportunity to experience Walter’s live show at several venues throughout the U.S. including the world renown “Blues Alley” in Washington DC, the acoustically phenomenal New Jersey Performing Arts Center, NY’s “Live at Best Buy” Stage and the legendary Frank’s Lounge in Brooklyn, NY. Walter Christopher is ecstatic about meeting and greeting fans with his brand of modern soul and “Walt Chris — THE REMIX” is a melodious thank you to all his supporters. If you are already a fan of Walter Christopher……..you know what to do………if not, just follow these instructions: Dim the lights and pour the wine cause it’s time to relax, amour is in the air. What happens next…….well that’s up to you! Enjoy! Walter has opened for Kem, Lyfe Jennings, Leela James, Vivian Green, Oleta Adams, En Vogue, Fat Joe, Diahann Carroll, Boys II Men, Keith Sweat, Kenny Lattimore, Allyson Williams, Mikki Howard, Jon Lucien, Marion Meadows, Donald Harrison, and many others. His amazing talents have taken him on many tours nationally and internationally. Walt’s signature vocals have also been showcased on several TV and Radio Commercials. He was featured on the HBO special “Back in Da Hood,” where he co-wrote, performed and produced the song “Yesterday.” One listen to Walter Christopher and you will hear the voice of a legend. He is a Balladeer by choice and sings and writes with the soul that has been missing in today’s music. His music has been programmed by WHUR (Wash. DC), KJLH (Los Angeles, CA), KOKY (Little Rock AR), KMEZ (New Orleans), KQXL (Baton Rouge, LA), WNOV (Milwaukee, WI), WAKB (Augusta, GA), KRMP (Oklahoma City, OK), WYBC (New Haven, CT), WWMG (Montgomery, AL), WMPZ (Chattanooga, TN), WLXC (Columbia, SC), WBTF (Lexington, KY) and WNSB (Norfolk, VA), Music Choice, Pandora, Jango, DMX, SpaFax, AccuRadio, Live365.com, SolarRadio, Danceteria, Northwest and American Airlines. All of Walter’s music is currently available on iTunes and Amazon.com (US and UK). “Walt Chris (THE REMIX)” CD will be released June 2012.